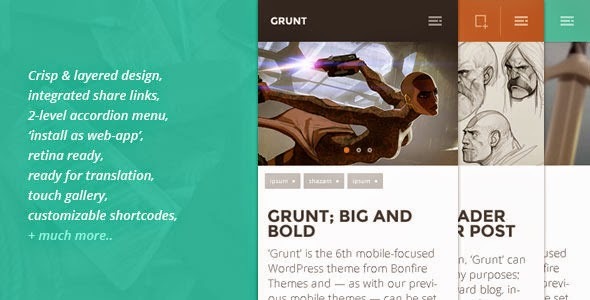 Have tried Grunt mobile WordPress theme ever! If no then quickly download it now from our website and make your website to be accessible from various mobile devices. You can use the theme to make any type of business websites within few clicks. Some of its highlighted features are responsive & retina ready, customizable shortcodes, 2-level accordion menu, integrated share links and many more. Pick it now.